Don’t confuse your vision for a paycheck. I had this realization recently. Sometimes we can enter hard times. In some cases, we can buy completely into a pull yourself up by your bootstraps mentality. This isn’t a bad effort, but when it becomes our primary focus it can overtake our devotion to God and cause us to judge others. There are many heroes of the faith that experienced terrible troubles. Jeremiah was a prophet who was ridiculed and imprisoned by his people. His prophecies turned out to be true, but when he said to Israel to not go to Egypt, the people of Israel disobeyed and even forced him to go with them. 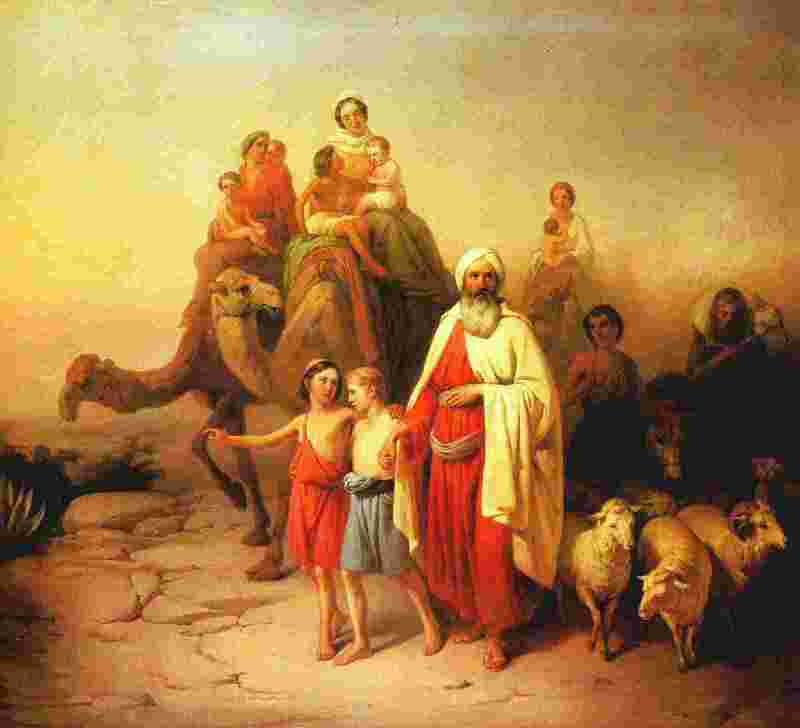 Paul’s missionary journeys were filled with problems. Flogged, stoned, imprisoned, accused, and even opposed by a heretical sect within the Church he was struggling for. Abraham left a secure home. In his day, to leave your home was to take the risk of no survival. He had no land, no hunting grounds, and no allies in the new land. God, however, calls him to the unknown land. Jesus had no real possessions and took a journey with the full intent of heading to the cross. Over the next few posts, we will take a look at these icons of our faith and see how our vision is defined by God and is meant to release us from the patterns we see in this world. All of the struggles of our faith will point to an empty grave of Jesus and our journey to living out the resurrection. For today, we focus on the story of Leah, wife of Jacob in Genesis. Jacob, the great swindler, was out swindled by Leah’s father, who saw a chance to get cheap labor. Jacob is crazy about Rachel, Leah’s sister. Leah’s father had other plans, and in the marriage ceremony, gives Leah to Jacob instead of Rachel. To Jacob, Leah was an afterthought, and in the story, Leah is so adamant about having kids so that Jacob will just simply notice her. In 29:31-34, Leah is so convinced of a traditional family value that she, as a woman must have children. This is so reflective of us still today. How many things do we buy into for happiness and worth: jobs, marriages, family, family values, political persuasion, nationalism…? The list is endless, but one string runs through it all, we want happiness from things that replace God. Leah, in the end finally gets it is verse 35: “Then Leah gave birth to another son. She named him Judah, because she said, “Now I will praise the Lord.” Then Leah stopped having children” (NCV). The things we value, as good as they might naturally be, are part of a fallen world which will break down and fall apart. That is the way of this world. But we can experience a better path when we to turn to God as our source of joy. Whether things are going well now or have already turned sour for us. God can take the broken visions we had for our lives and replace it with the vision that He has for humanity. The Bible is full of stories that show us that life needs more than our own vision and efforts. It needs another vision that is greater and filled with a better wisdom. The vision of God is so strong it gives us hope and purpose. How do we find that vision? By looking at Christ and listening to the Spirit. When we do this we will find what make us joyful, powerful, influential, and resolute. But we must accept it and work with the transforming power God is working out in us. Only then do we begin to experience the great adventure that He has laid out for us.